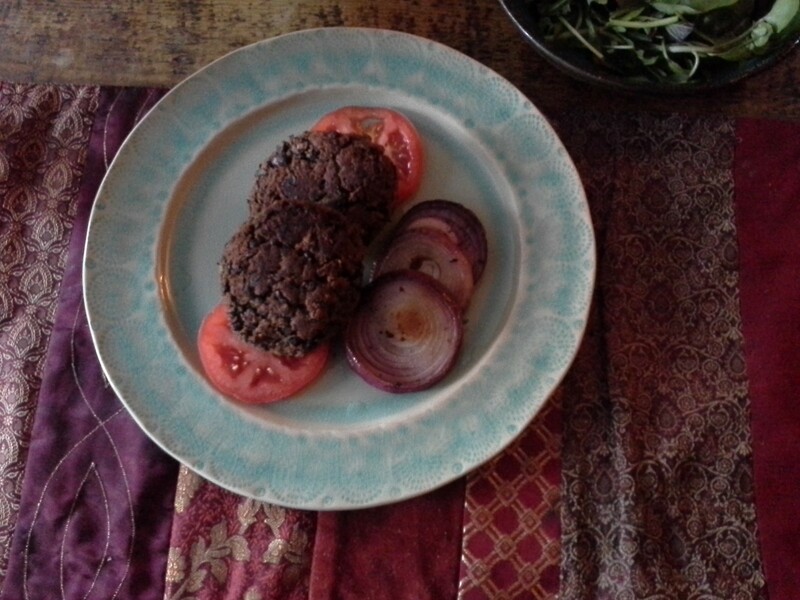 Veggie Monday continues with some spiced black bean burgers. These burgers were quite tasty, made by mixing 2 tins of black beans, breadcrumbs, ground cumin, chilli powder, chopped garlic, an egg and some seasoning. Shapes into burger shapes and briefly fried on a very hot pan in a little oil, then finished off in the oven to heat through. Although tasty I did feel they were a little dry. Colin felt so too, and thought that when we make them again we may make them into small ball shapes and douse with a good tomato sauce, and serve with rice or bread. But definitely worth another try as the beans are earthy and flavoursome. I asked Colin what he would like for dinner and he proclaimed that it had been ages since we’d made a shepherd’s pie- so shepherd’s pie it is! I have always made a version of the Delia recipe on How to Cook, with leeks on the top of the potato, and plenty of root veg in the sauce. Over the years I have adapted this and today the pie included parsnip, suede, carrot, celery, beef mince, tomatoes and stock. Colin is not keen on the leek layer, and I am not so keen on loads of mash, so a ‘half and half’ solution is presented! To increase the veggies further we had some baby carrots and sprouts on the side. Delicious comfort food at it’s best…. although I always overeat when there’s shepherd’s pie on the table and go to bed very, very full- my eyes are most definitely bigger that my stomach. A beautiful sunny day! But to work we must go….. However, I had a lovely lunch to look forward to, and it was absolutely perfect to refuel after an incredibly hectic morning. 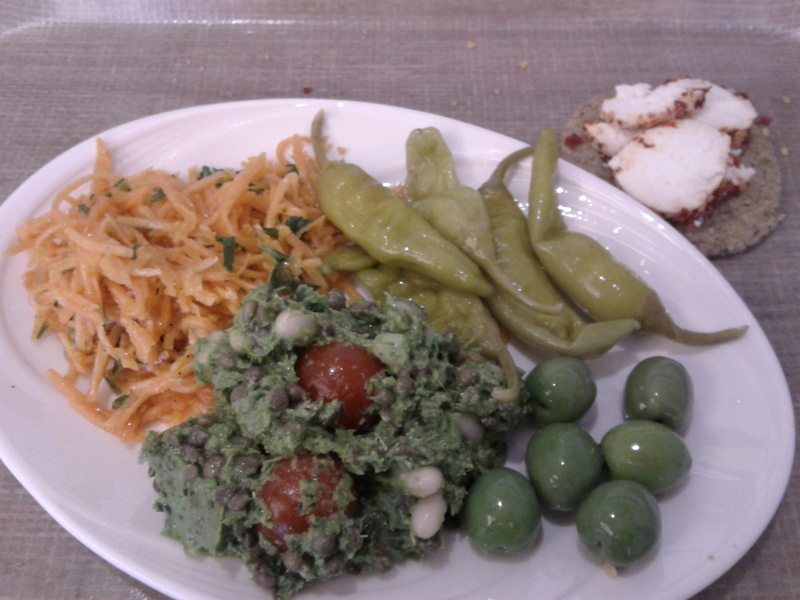 This yummy plate of salads comes from The Grocer on King’s Road- a pea, bean and lentil purée, a refreshing carrot and parsley salad, some juicy Sicilian olives and some crunchy green peppers. I also had a little goats cheese rolled in chilli flakes left over from earlier in the week so used this up with a coarse, crunchy oat cake. A sunny lunchtime treat. For dinner it was ‘make your own pizza night’! A good thin base, thick layer of zingy, tomatoey sauce, piccante salami, slices of red pepper, sprinkling of hot red chilli flakes, and topped with some little balls of fresh mozzarella. Yummy!!! And washed down with a good bottle of Amarone from our fine wine selection at work. This could have been a perfect day had it involved relaxing in the sunshine in between meals, and not working! Oh well. I am a real lover of sea bass, in fact I think it may be my all time favourite fish. 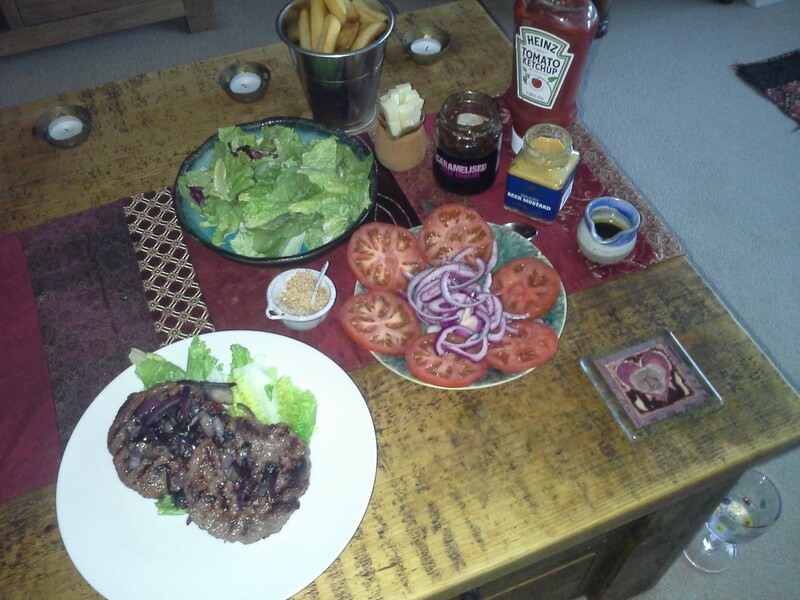 So tonight it was centre stage- simply grilled with a little seasoning to bring out the delicate flavour. To give the fish something crispy to sit on top of I made some artichoke and potato rostis. 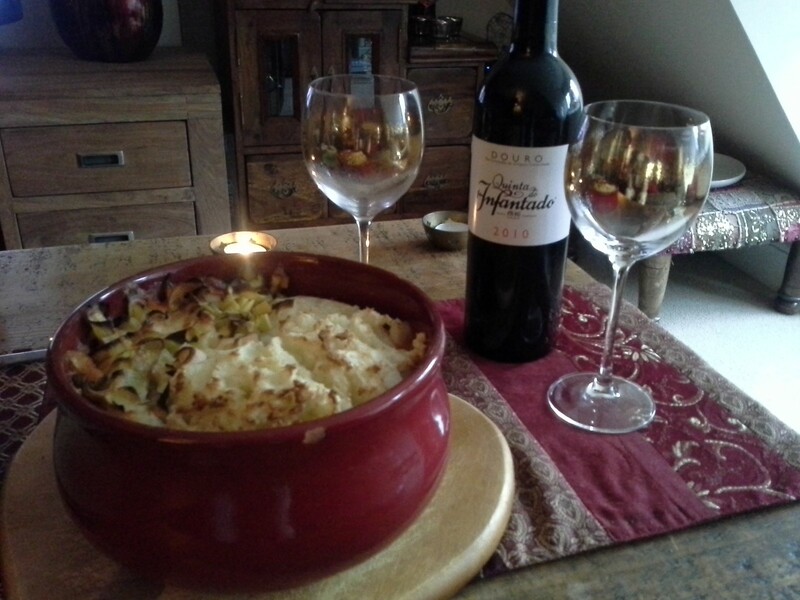 I had bought the Jerusalem artichokes from a farm shop to make a recipe for an artichoke and almond rosti. However, it turned out I was all out of almonds so I had to experiment at the last minute! squeeze out any excess moisture from the veg- I put the veg in a clean tea towel and gave it a good squeeze! The sea bass sat happily on top of the crispy rosti, and an accompaniment of some tomatoes and a green salad rounded off a lovely, light and delicious Friday night meal. If only we were off work tomorrow!!! The last few weeks I have been on my late night on Thursday which is a right pain as it is the only night of the week where there are actually programmes on the tv that I want to watch!!! Some would say I should do more to influence the rota…. but this week I did not have to as I was late night yesterday and back home in good time tonight to indulge myself. I had been looking through the Skye Gyngall book ‘My Favourite Ingredients’ which is full of inspiration and decided on a fish curry recipe which sounded delicious. The original recipe called for monkfish but I had sold out at work (outrageous stock control!) so I used cod instead. The result was truly lovely and will be a firm favourite. Here’s my version of the recipe. Heat the oil in a frying pan and cook the onions until soft. Add all the spices and stir for 5mins until fragrant. Add the coriander stalks, chopped, along with the garlic, chillis, curry leaves and kaffir lime leaves. Add the fish sauce and lime juice and stir for a minute, them add the tomatoes and reduce down for 15mins until thick. add the chunks of fish and poach the fish in the sauce for 15mins until cooked through. serve scattered with some coriander leaves. I can not recommend this enough, it was absolutely lovely! Yum! When we drove down to Middle Farm on Sunday we picked up some burgers that the butcher was just making- a beef and onion mixture, and a beef and chilli one. We chose one of each to give them a go! In a bid to eat more veggie we have been following the meat-free Monday concept, and it is a good way to start the week. Tonight we have had a great veggie pasta dish from the Moosewood Cookbook called Aubergine Scallopini Masala Pasta Sauce, and it was utterly delicious. 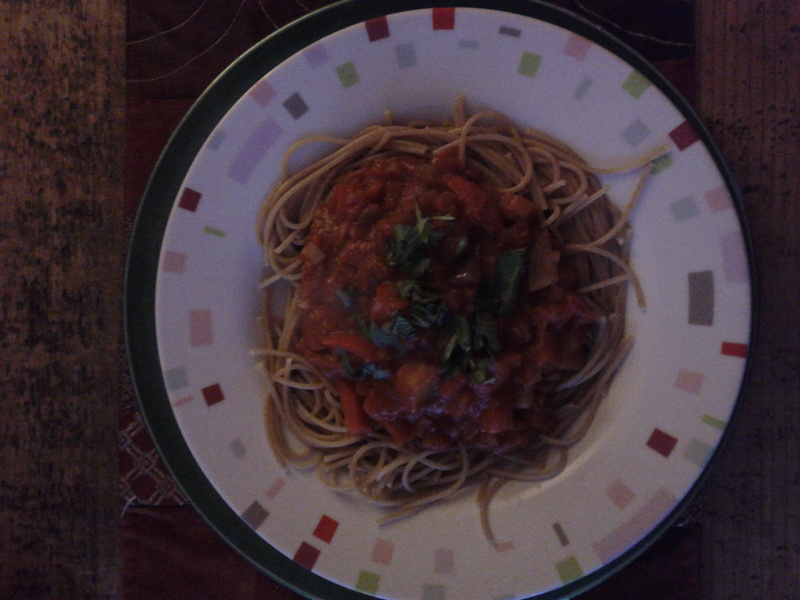 The sauce is basically onions, garlic, diced aubergines and tomatoes. There is a splash of masala in there which really brings out the flavour of the tomatoes. The sauce is sitting on top of some wholewheat pasta- we have started to eat more and more of this instead of ‘normal’ pasta as we much prefer the texture and the taste. All in all a lovely and healthy way to start the week.